With Apps4Rent, you get a fully managed SharePoint solution that includes free setup, 24/7 monitoring, and troubleshooting. With a managed solution, we take care of installing patches, upgrading OS, and installing cumulative updates. Apps4Rent offers wide range of hosting choices including shared, dedicated or farm hosting of SharePoint Servers. With a hosted SharePoint web site, employees are able to harness the robust power of SharePoint 2013 hosting for social networking, to share files, run blogs and wikis, and distribute information, and use SharePoint Apps. Apps4rent has been a leading provider in offering SharePoint services right from the 2007 version. Our reday-to-go SharePoint plans will help you bring your company together today in the virtual environment of Microsoft SharePoint hosting. Contact our SharePoint experts today to discuss the best SharePoint price plan for you. Feel free to drop in any questions you have related to SharePoint. Save infrastructural costs. Pay only what you use. Manage your hosted SharePoint web site content with an internet browser. Access hosted SharePoint websites using a smart mobile device with a micro browser. Track a sales campaign using out-of-the-box templates available through SharePoint site. Integrate Microsoft Office seamlessly with hosted ShrePoint site, along with drag and drop feature. Share your thoughts via blogs that comes with hosted SharePoint. Schedule and share your dates and tasks accordingly with other members. Share task lists among team members, assign tasks and monitor the development of the project. Create documents, sheets, and presentations online isong hosted SharePoint. Synchronize the contact list with your Outlook and mobile phone. Make announcements for everyone accessing your Intranet through hosted SharePoint website. Subscribe to RSS feeds and new RSS feeds that can be created. Whether you thinking of staying on your current version of SharePoint, or upgrading, we are here to help you. We currently serve customers on-premises and in the Cloud. We provide free migration to our SharePoint platforms. Chat with our sales staff to discuss your needs. We are actively serving customers on SharePoint 2007, 2010, 2013, 2016, and SharePoint Online. Very few vendors or IT departments have as much depth in SharePoint as we do. We await your challenging project. The apparel chain faced serious challenges managing its increasing workforce. They choose Apps4Rent to install SharePoint 2013 that increased collaboration among teams. 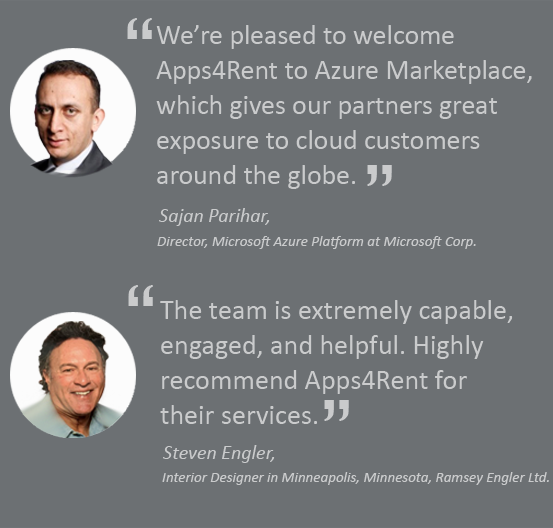 They chose Apps4Rent to build a robust infrastructure on Azure cloud to migrate the SharePoint site. Apps4Rent completed the migration task in a record 3 weeks’ time. Apps4Rent repurposed the company’s existing licenses obtained under Volume License (VL) to the Cloud with Microsoft License Mobility via Software Assurance program. During the Project Server 2016 migration from 2013 version, an auto parts manufacturer approached Apps4Rent after they made blunder of it trying to do that in-house.